Written by Andrea Zoellner on September 27, 2018 Blog, Customer stories. For that reason, the World Wildlife Fund launched the technical apparel project, an opportunity to push eco-friendly and sustainability goals by creating high-tech, highly-desirable apparel that meets the needs of their supporters and the environment at large. Every sale of the jacket goes to fund initiatives of the WWF. By developing a single product first, the Black Leopard jacket with iterations for men, women, and children, WWF was able to refine the product design to match the lifestyle and taste of their community. Everything from the fabric to the manufacturing had to meet their strict requirements for quality and sustainability. According to their catalog, their manufacturing partner is a leader in the South African clothing industry with a factory that boasts impressive sustainability credentials such as a solar-powered plant, water-saving technology, and low-energy consumption lighting. In fact, they recently won the LEAN Performance Improvement Award from the South African Department of Trade and Industry and the Cape Clothing and Textile Cluster. Although the World Wildlife Fund is nearly 60 years old, Jason and his team decided to treat this eCommerce project like a full-fledged startup venture rather than revamp one of WWF’s existing digital properties. The startup approach also informed the decision to use the highly-scalable WooCommerce and WordPress combo, since the WWF store plans to grow its product line and are gearing up for a global roll-out, which would see the store being used by millions of people around the globe. “We needed to use a platform that would allow us to develop the site rapidly with the ability to scale at ease, potentially becoming a multisite network,” says Jason. 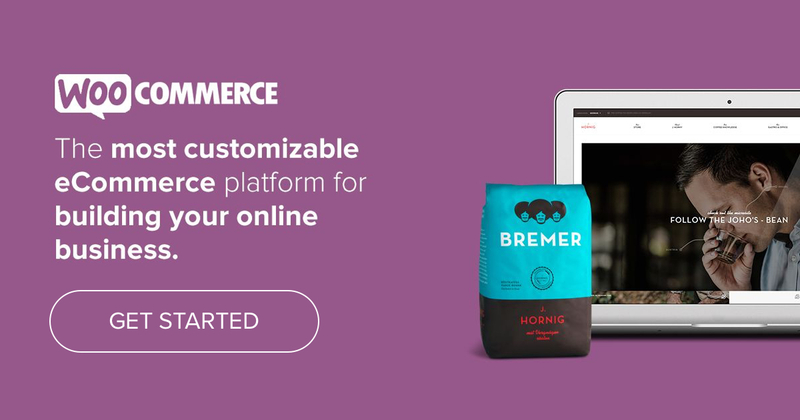 “WooCommerce and WordPress made sense because of the out-the-box features as well as allowing us to develop as many custom features which we would need going forward – the custom functionality possibilities are virtually endless when it comes to WooCommerce”. WooCommerce and WordPress made sense because of the out-the-box features as well as allowing us to develop as many custom features which we would need going forward. Tenzing Agency recently joined Hoorah, an independent Digital Media Agency to round out Hoorah’s eCommerce offering with an innovative approach to backend development that enables vital business focused integrations with product fulfilment and distribution networks. Jetpack, a must for optimizing WordPress. SVG Support to ensure safe and simple SVG handling for clarity across retina and non-retina displays. Advanced Custom Fields Pro to go beyond the standard available fields & WYSIWYG editor to support the content the WWF store needed. WooCommerce Print Invoices & Packing Slips to create clear and concise invoices for the customer with custom templates to be sent in order emails. Ultimate Member Pro to connect with the large corporate support network at WWF. Ultimate Member provides an easy and quick solution to create a new user group with predefined conditions for corporate customers ordering in bulk. Custom Aramex Shipping Integration to manage the partnership with Aramex to hold the stock and distribute directly from their warehouses. This custom integration logs a sale in their system and creates a waybill and gets the order out for delivery. Now that they have a successful foundation, Jason is confident the World Wildlife Fund’s store will be able to scale and grow to accommodate new markets and products. Even now, they are implementing changes to improve the experience and better align with the needs of the non-profit. Great initiative, now with all the funding it is also keeping the money rolling with the trade. It is a good idea and thanks for sharing with us. Thank you for such interesting post. I`m really surprised that eCommerce can work for something good. I will be waiting for your new articles!